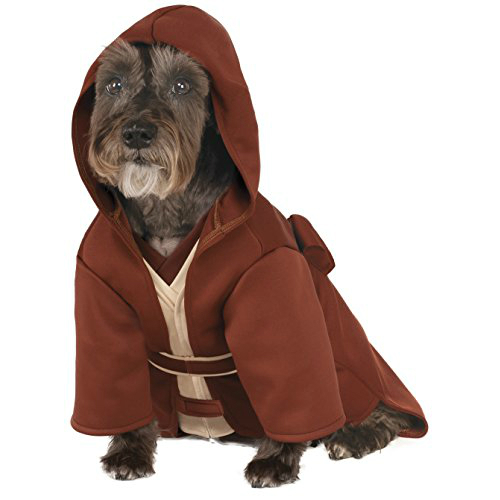 Do you have a little dog and want to accentuate it’s adorableness all while dressing it up as a Star Wars character? 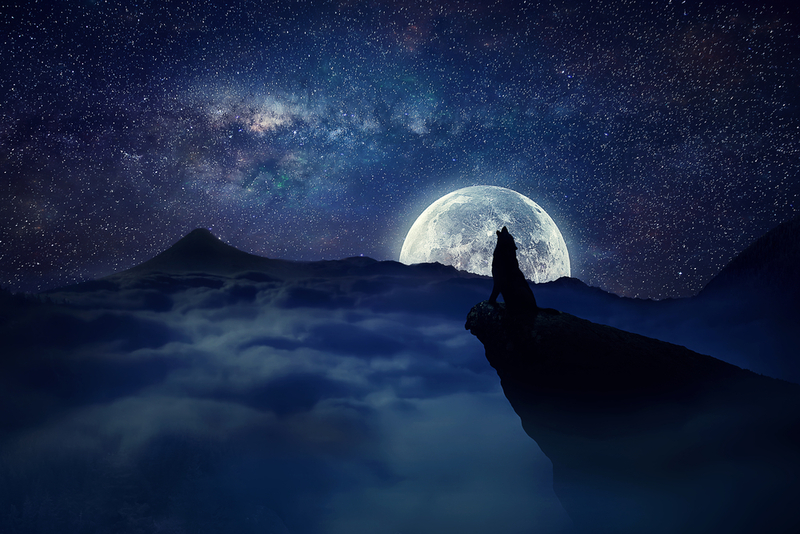 Remember those Ewoks from Star Wars Episode VI? Who doesn’t! The miniature bear-like aliens from Endor are a much disputed race, yet their cuteness is undeniable! 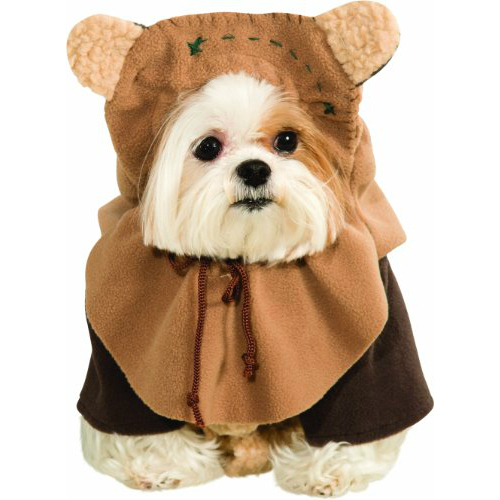 The Ewok costume comes with a jacket and headpiece that has the little Ewok ears on it. Remember those crazy “sand people” from Star Wars Episode IV and briefly in Episode II? The huge mammoths that they ride are called Bantha. 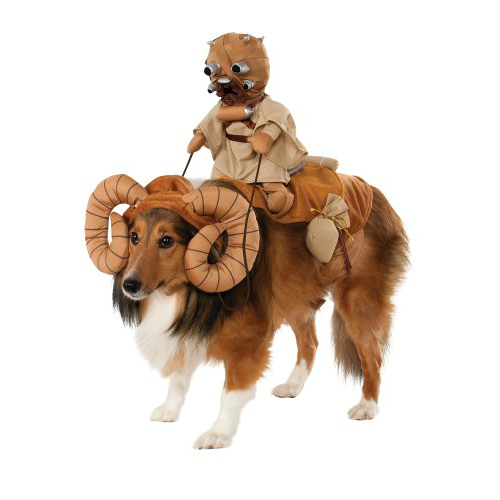 And I just have to say, having a dog dressed as a Bantha for Halloween is just adorable! Having a Tusken Raider riding on top of it is like icing on the cake! It also comes with saddle bags on the side of the harness for extra detail. Overall a great bargain for such a cute and silly pet costume! Popularized by primarily being ridden by stormtroopers in the Star Wars films. 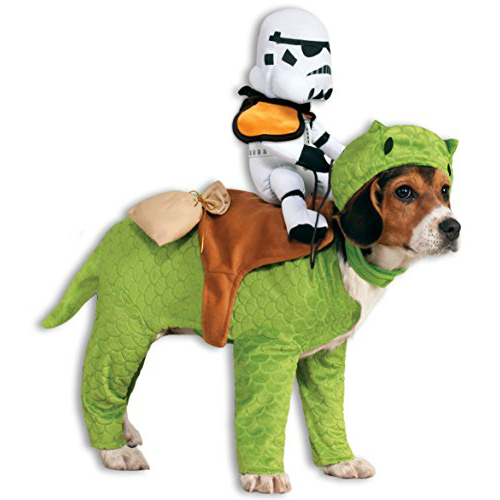 The prehistoric looking Dewback is simply delightful in this rendition of a Star Wars pet mount costume! With it’s charming cartoonish look and silly stormtrooper affixed atop the outfit, when worn, it’s nearly impossible for your dog to not look like the cutest thing this side of the galaxy!